Albert Edward Averis was the seventh child and third son of Daniel & Emma Averis. He was born 12 June 1888 at Kingsdown near Timaru. Like his siblings he attended Kingsdown School. In 1903, his last year at school (Standard 7) he was runner up to the Dux of school. Albert left school to become a joiner and cabinetmaker and did his apprenticeship at Tooth’s in Timaru. Albert was interested in cycling and road racing and on 13 November 1913 he won a gold medal for the fastest time in the Fritz Road Race. He often had to compete against his brother Frank in the road races. By November 1914 Albert and his brother Cecil were living at 5 Parsonage Road, Waimate and both gave their occupation as carpenter. Albert followed his brothers Frank and Cecil into the army during WWI as his name was on the ballot released on 3 September 1917. He was to be part of the 34th Reinforcement South Canterbury quota. Albert was still living at the same address in Waimate and was working for Menzies the builder. There was a brief farewell at the Drill Shed and his commencement of duty started on 12 September 1917. However he was granted leave without pay until the 15 October 1917 when he was expected to be in camp by 12.15pm. 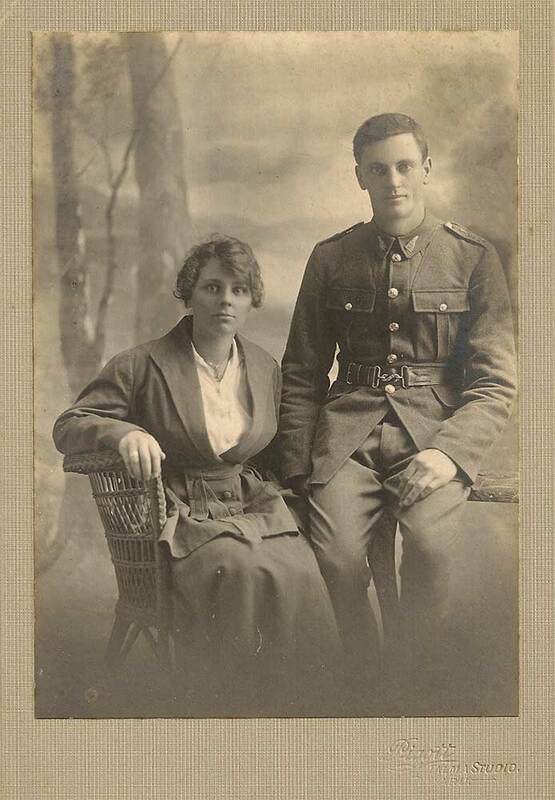 On the 20th November 1917 he married Ellen Joyce (daughter of Frances & Mary Eliza Joyce of Waimate) in Linwood, Christchurch. The marriage certificate shows Albert’s usual residence as Featherston in the Wairarapa, which was the location of the army training camp. On 30 December 1917 while at Trentham Camp Albert lost three days’ pay and was confined to Barracks for seven days as he had gone AWL (absent without leave). On the 8th February 1918 Albert left New Zealand on the “Ulimaroa” for England, serving with the NZ Rifle Brigade reserves. They arrived in Liverpool on the 29th March and on the 8th May left for France. However on the 9th May Albert’s service record states he was admitted to the military hospital at Shorncliffe in Kent and then later sent to Codford Hospital in Wiltshire. It would appear from his service record that he was in hospital much of the time from May until August 1918. 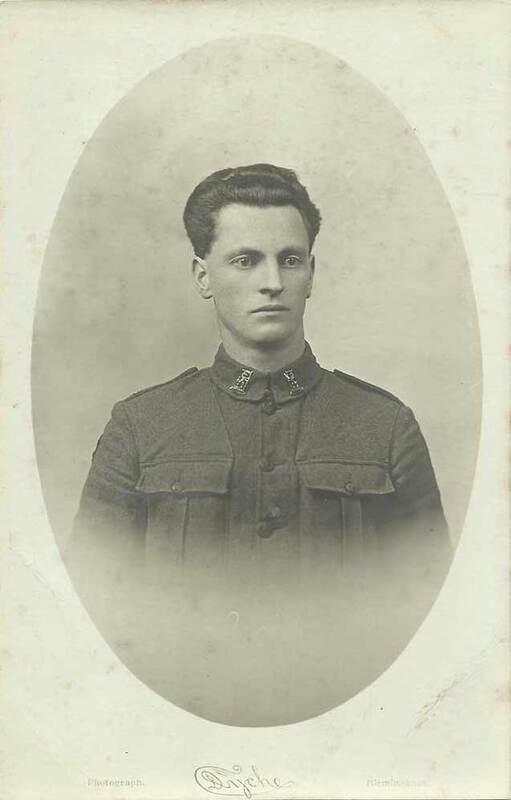 On 3rd October 1918 Albert marched into Brocton Camp and in September 1919 he returned to New Zealand on the troopship “Remuera” He was discharged on the 25th November 1919. It is believed that Albert was retained to produce coffins during the “Spanish Lady” influenza epidemic of 1919-20 which worldwide took almost as many casualties as the Great War had. 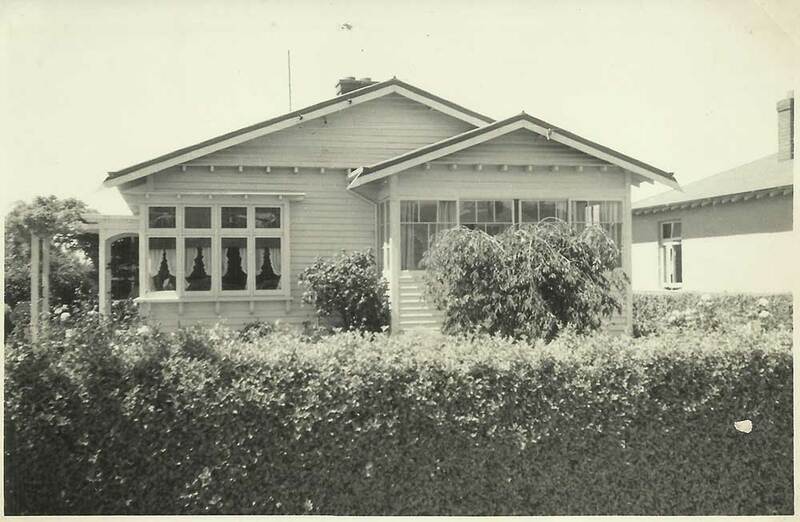 After the war Albert and Ellen (known as Nell) settled in Waimate; they lived in Queen Street until Albert built their own home at 51 Belt Street in 1925. Albert was employed by John Menzies, joiner, and together they did the extensions of St Augustine Church in Waimate. Assisted by G Attewell, Albert made the main altar. 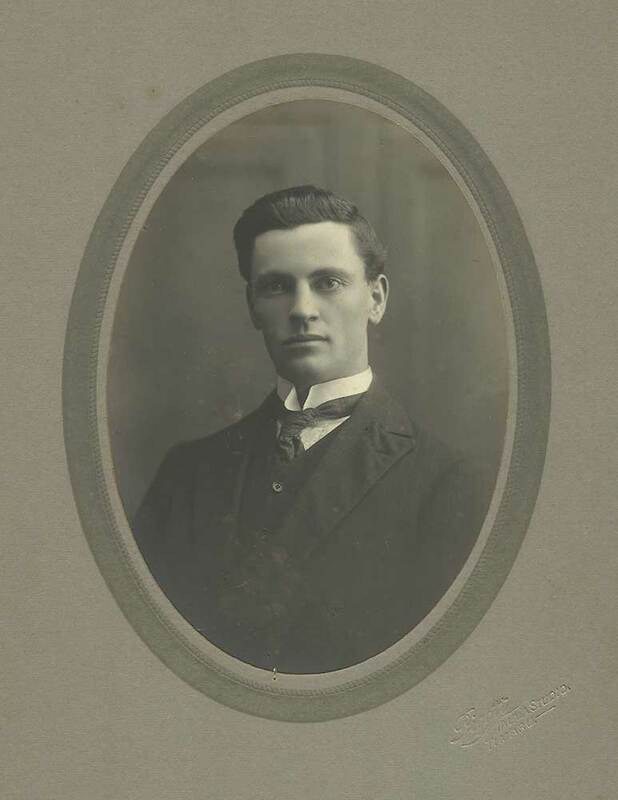 Although Desmond Unwin Ltd of Timaru bought out Menzies’ firm, Albert continued to work and manage the business until his retirement. He also taught Night School Adult Education classes in Waimate. Albert excelled at miniature rifle shooting and in his later years played bowls. He also gained much enjoyment from gardening. Albert & Nell had one daughter: Joyce Alberta (1918-2014). They also brought up Ellen’s niece June Shefford (1925-2004) as June’s mother died at birth. June was always very much a part of the Averis family. Albert died on 2 April 1974 and Ellen on 29 July 1979. They are buried in the Waimate Cemetery.